Joe Hart has laid bare his desperation to secure a permanent transfer away from Manchester City and resurrect his career. The former England goalkeeper made his first City appearance since August 2016 in the 1-0 International Champions Cup defeat by Borussia Dortmund at Soldier Field in Chicago on Friday. On as a second-half sub for Claudio Bravo, the man brought in by manager Pep Guardiola to replace him, Hart looked assured and produced an excellent save midway through the second-half. Hart is in the final year of a contract worth around £160,000 a week, but having spent last season on loan at West Ham, as well as moving to Serie A for a spell with Torino in the previous campaign, he will leave the Etihad only if a permanent contract is offered. Guardiola has been impressed with the 31-year-old’s work ethic, but Hart knows there is no future for him in Manchester. 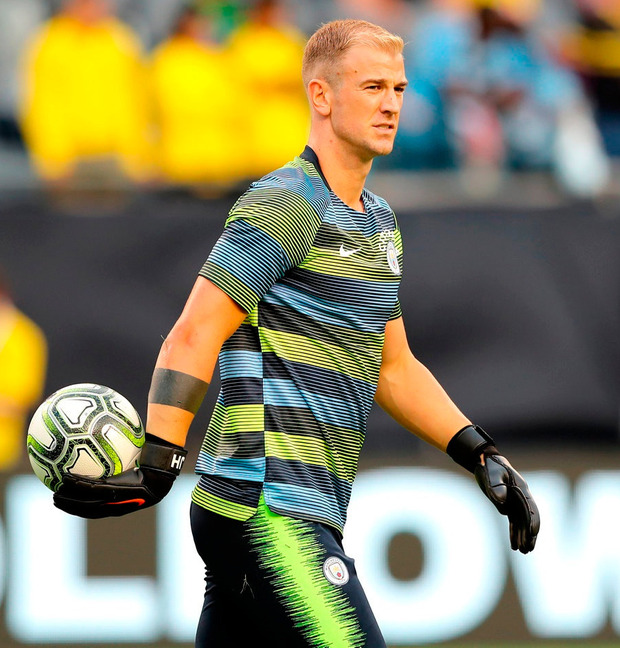 “I’ve never had such a long summer off so it’s just good to be playing football again,” said Hart, who admitted he will sit out the final 12 months of his deal if he cannot find a suitable move. “I need to go somewhere permanent, I think that’s obvious. I did what I did in the previous two seasons because I needed to play to be involved in the World Cup. And look where that got me. Elsewhere, Germany midfielder Mesut Ozil announced his retirement from international football yesterday, hitting out at what he perceived to be unfair discrimination surrounding his meeting with Turkish president Recep Tayyip Erdogan in May. Ozil (29), was part of the Germany squad that exited the World Cup in Russia at the group stage and was the target of criticism for his performances, as well as his meeting with Erdogan. The Arsenal playmaker has Turkish ancestry and defended his actions in a lengthy statement. “The treatment I have received from the DFB (German Football Association) and many others makes me no longer want to wear the German national team shirt.